Members of G.A.N.G. can view information on redeeming all the perks below here. Join 26,000 game developers at the world’s largest professional game industry event. Choose from 500 sessions lead by experts on game design, programming, audio, visual arts, production and more! Audio track sessions take place Tuesday through Friday. For GDC 2019 we are pleased to extend a 10% discount off "Audio Conference+ Tutorial" passes for the G.A.N.G. community. Please note that this discount cannot be combined with other discounts. Helix Native delivers the power and tonal authenticity of award-winning HX Modeling technology in a plug-in. Like the hardware members of the Helix family of guitar processors—Helix Floor, Helix Rack, and Helix LT—the Helix Native plug-in features accurate recreations of vintage and modern amplifiers, speaker cabinets, microphones, and effects, as well as extensive signal-routing capabilities and an intuitive user interface. Not just for guitarists, the Helix Native plug-in is also ideal for producers and engineers, sound designers, film/TV/game composers, electronic musicians, and anyone else seeking to craft new and exciting sounds and special effects. With Varantic, you can create endless variations from only a small set of input sound effects. Need a hundred different gravel footsteps? No problem. Need an arsenal of unique laser guns? Easy. With Varantic's frequency analysis engine, you can instantly transform a few sounds into unlimited variations. Varantic lets you do in seconds what used to take days. Varantic is available in three tiers: Varantic Indie, Pro, or Studio, so you can choose the right performance at the right price for your project. DISCOUNT: Members of G.A.N.G. save $100 on Varantic Indie, $200 on Varantic Pro, or $500 on Varantic Studio with a special promotional code. Offer expires November 1, 2018. ReelCrafter is offering members of G.A.N.G. 25% off the first six months of any monthly plan or 20% off the first year of any annual plan. Digital Entertainment World (DEW) 2018 will focus on "Creation to Monetization" and will cover topics from OTT to AI to eSports to Millennials to Content Marketing to VR/AR to Music Rights to Startups, etc., as this theme guides all talks, discussions, meetings and presentations over the two days. This year's event will be held in the hip and modern Marina del Rey Marriott just steps from the beach and located in the heart of LA's thriving Silicon Beach with easy access to Santa Monica, Venice and Playa Vista. Digital Entertainment World (DEW2017 clip) is where you want to be if you are in the business of digital entertainment. 20% discount code for members of G.A.N.G. Sound Particles is a CGI-like software for Sound Design, capable of using particle systems to generate thousands of sounds in a virtual 3D world. Particle Systems are a common tool used in computer graphics and VFX to create fuzzy/shapeless objects like fire, rain, dust or smoke. Instead of animating all individual points (water drops, grains of dust or smoke), the user creates a particle system, an entity that is responsible for the creation and management of thousands of small objects. Sound Particles uses the same concept, but for audio: each particle represents a sound source (instead of a 3D object) and a virtual microphone captures the virtual sound of the particles (instead of the virtual CGI camera). BOOM Library is offering their Complete BOOM Library with more than 350GB of HD Sound effects exclusively to members of G.A.N.G. This collection is being offered at the discounted price of 2899€ (including free shipping on a hard drive) instead of 6000€. The BOOM Library prides itself on providing high-end, ultimate sound effects for all media and audio professionals. Th collection comes with a 96 kHz high definition huge source library of their original recordings and a great variety of pre-designed SFX, ready to use. Pyramind Training is offering Members of G.A.N.G. a discount on their 12-week long, instructor-led online classes. Chance Thomas – Composing Music for Games: The Art, Technology and Business of Video Game Scoring. Composing Music for Games is a guidebook for launching and maintaining a successful career as a video game composer. It offers a pragmatic approach to learning, intensified through challenging project assignments and simulations. 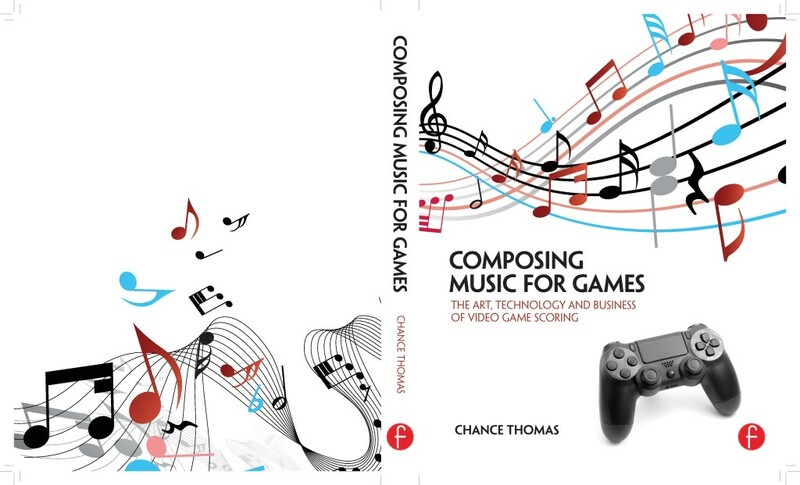 Author Chance Thomas begins with the foundation of scoring principles applicable to all media, and then progresses serially through core methodologies specific to video game music. This book offers a powerful blend of aesthetic, technique, technology and business, which are all necessary components for a successful career as a video game composer. 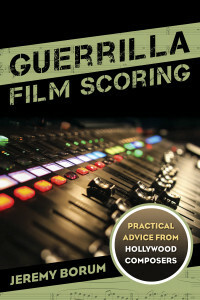 In Guerrilla Film Scoring: Practical Advice from Hollywood Composers, Jeremy Borum provides valuable guidance on how to produce a good score both quickly and inexpensively. 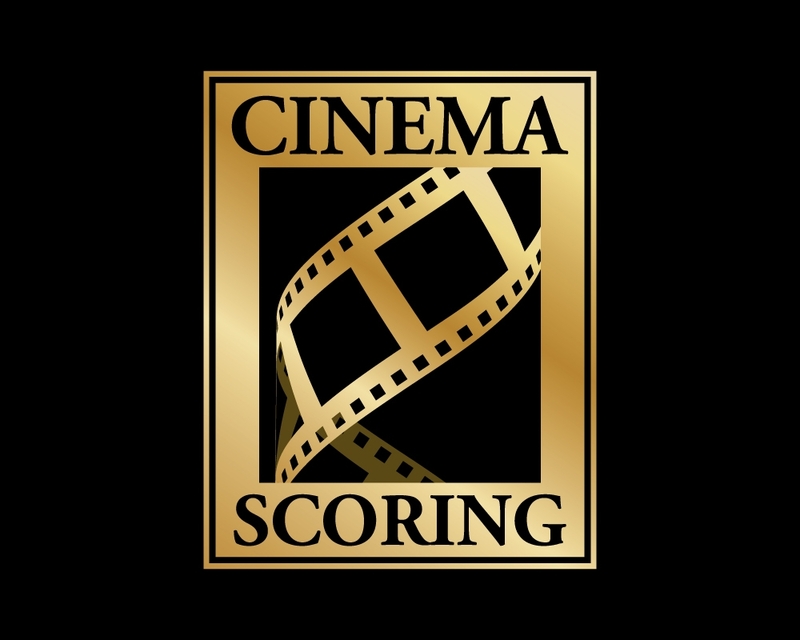 Addressing scoring for all kinds of media including video games, this handbook encompasses the entire film scoring process. It addresses education, preparation, writing and recording a score, editing, mixing and mastering, finding work, career development, and sample contracts. Offering strategic tools and techniques, this insider’s guide draws on the expertise from a number of prominent composers in movies, television, and video gaming, including Stewart Copeland, Austin Wintory, Garry Schyman, and Jack Wall. A straightforward do-it-yourself manual, this book will help composers at all levels create the best-sounding scores quickly and cost effectively—without jeopardizing their art. Sound Librarian is happy to offer a 20% discount to GANG members on all their on-line educational products. This includes all courses listed here. Additionally the 20% G.A.N.G. discount WILL stack with the 20% disparity discount for women giving female GANG members a very significant discount. Join 26,000 game developers at the world’s largest professional game industry event. Choose from 500 sessions lead by experts on game design, programming, audio, visual arts, production and more! Audio track sessions take place Tuesday through Friday. For GDC 2018 we are pleased to extend a $50 discount off "Audio Conference+ Tutorial" passes for the G.A.N.G. community. Please note that this discount cannot be combined with other discounts. Members of G.A.N.G are being offered the chance to attend the 2018 NAMM Show --- the business crossroads of music, sound and event technology. As part of your membership benefits, G.A.N.G members will receive a special registration rate of $25 through January 10, 2018. Need more information? Review benefits of attending The NAMM Show. NYME’s Conferences (September 26-27) bring together the leading companies in entertainment, media and technology for riveting discussion and debate. 2017 Conferences include 1-day programs on Games, Video, Music and RightsTech with focus on Brands, Advertising, Monetization and Distribution. NYME doesn’t end when the sun goes down. We’re just getting started with evening and night time events and entertainment that include VIP dinners and receptions, Tech-Media Crawl open houses and after-parties. A 1-day event held as part of New York Media Festival’s (NYME) 2-day event series, NY Games Conference is the leading event for senior representatives from game publishers, developers, movie studios, advertising firms, VCs, social networks, technology providers, analysts and press. Unlike some other industry events, NY Games Conference focuses on bringing together the people who really matter to meet in a lively yet intimate environment that allows access and privacy to build and grow relationships and partnerships. Reformer makes it possible for sound designers and composers to perform a library of sounds with their voice or any other audio input by way of artificial intelligence and advanced signal analysis. In real-time, Reformer profiles the input audio, and then automatically sources from pre-analysed library sounds to construct a new sound based precisely on that profile. The Reformer plugin is free, users purchase our pre-analysed "micro" libraries, and can either use the libraries with Reformer, or use the sounds for any other purpose. There is also an additional G.A.N.G. GameSoundCon Alumni rate available to past attendees of GameSoundCon. To redeem the alumni rate contact brian@gamesoundcon.com (Note: Alumni rate is non-transferable, and must be used only by the actual previous GameSoundCon attendee). External Development Summit (XDS) is the only annual, international games industry event with a primary focus on external development for art, animation, audio, software engineering, QA and localization. XDS is offering members of G.A.N.G. an exclusive 10% off of XDS 2017 Early Bird passes (ending June 14). Each year, a niche community of game developers and publishers, vendors, and middleware providers, meet in beautiful Vancouver, Canada to contribute to the advancement of our industry through collaboration, sharing of best practices, networking and the delivery of a high-caliber, educational program. XDS is considered to be a professionals-only event. Develop:Brighton Audio Track sponsored by Dolby is a daylong conference on Thursday 13 July for anyone involved in sound or music and video games. Audio professionals can expect to be inspired by the latest techniques and trends, plus hear from peers and experts who will share their own experiences and knowledge on all things sound related. All members of GANG can get a 20% discount when booking online by using the code available on the members perks page. LA Games Conference is offering members of G.A.N.G. passes for $399, discounted from $599. The pass includes access to all speaker sessions (including breakouts and keynotes), and access to the official after party. 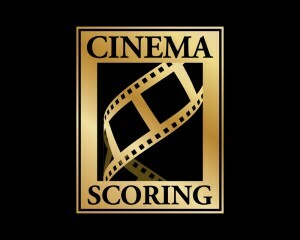 Cinema Scoring is offering 10% off your first recording session of three or more hours. This discount is for the orchestra only and excludes the conductor, music prep, engineer and studio. Weaponiser is the only all-in-one solution for weapon sound design; providing a powerful and efficient workflow, a comprehensive library of professionally recorded weapons, carefully designed presets with high-end, real-time synthesis and unparalleled sound quality - making it the ultimate go to tool-kit for creating dynamic assets. Members of G.A.N.G. 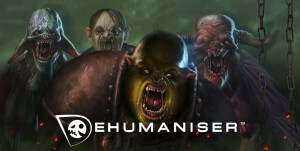 are being offered a 30% discount on Weaponiser, available until the 13th of May. On May 8, 2018 join the most influential decision-makers in the digital media industry at Digital Media Wire's Annual LA Games Conference to network, do deals, and share ideas about the future of games and connected entertainment! As LA's local games event, LA Games Conference brings together LA's dynamic community of developers and game leaders for meaningful networking and meetings at the center of Silicon Beach and Hollywood. The event is held at the iconic W Hollywood and features fireside chats, roundtables, panels and presentations on digital game investment, creation, distribution, marketing and monetization and plenty of networking opportunities with many of the elite in the industry. The D.I.C.E. (Design, Innovate, Communicate, Entertain) Summit is back for its 16th year, February 21-23, 2017 at the NEW venue, Mandalay Bay and Delano Hotel in Las Vegas. D.I.C.E. is a premier C-level conference, gathering the brightest and most creative minds from major publishers, developers and influential industry leaders, dedicated to exploring approaches to the creative process and artistic expression. Accessibility to these executives, the relaxed environment and key networking events make the event memorable and easy for individuals to build key relationships and business partnerships. D.I.C.E. is also home to the industry's premier annual awards show, the 20th Anniversary Annual D.I.C.E. Awards, to promote and acknowledge exceptional accomplishments in the field. More information on the D.I.C.E. Summit can be found at: http://www.dicesummit.org. D.I.C.E. 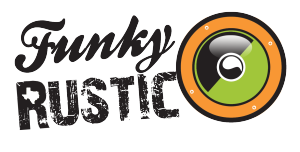 is offering a special discount to Audio Gang members. We are going to offer 10% off the ‘member’ pricing, a cost saving of over $900. Tickets will cost $1935 instead of $2850. That includes the conference and speakers, roundtable discussions, all breakfasts, lunches, networking breaks, parties and Awards show. The discount ends on December 22nd. As a member of the Game Audio Network Guild in Good Standing, you are invited to the Newtorking/Mixer event at GameSoundCon, Tuesday September 27 at 6:30pm thanks to CRI Middleware (www.criware.com). Please have ID ready-- only fully paid members of G.A.N.G. are eligible for this event. If you have been to a previous GameSoundCon, contact info [at] GameSoundCon [dot] com for an additional $25 off the Alumni rate (Note: Alumni rate is non-transferable, and must be used only by the actual previous GameSoundCon attendee). Featuring the world’s best music hardware, a collection of software providers exhibiting the latest technology, and advanced business education, The NAMM Show, January 21–24, 2016, is an international gathering uniting the music and sound community. The show is also home to the NAMM TEC Awards, the professional audio industry’s most prestigious recognition of achievement in audio technology and sound production, which will take place Saturday, January 23. We are excited that the G.A.N.G. membership will again be part of this year’s TEC Awards voting process. Stay tuned for an email with complete voting information to cast your ballot across Technical and Creative categories. Preview all nominees at tecawards.org/nominees. In addition to helping decide the winners of the 31st Annual NAMM TEC Awards, G.A.N.G. members have a special registration opportunity to attend the 2016 NAMM Show. Beginning December 7, 2015, learn more about attending The NAMM Show at www.namm.org/thenammshow/2016/attend. 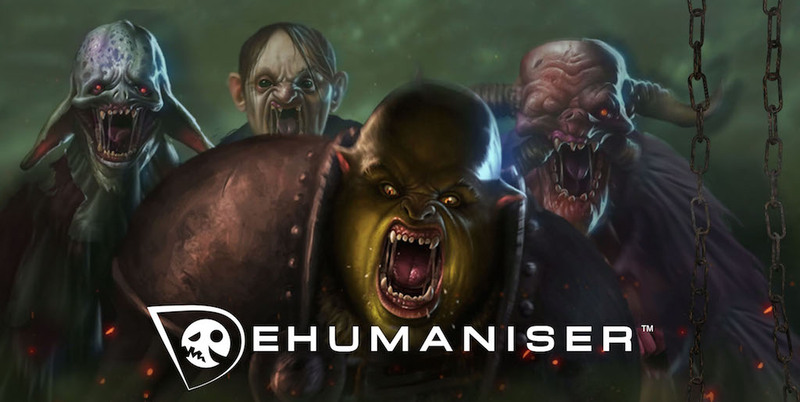 Dehumaniser is a software standalone vocal processor that allows the production of creature / monster sounds, efficiently in real time. It is designed to produce studio–quality sounds by using multiple layers of sound manipulation techniques simultaneously. Connect a microphone to your sound interface or even use your computer’s built-in microphone and create astonishing creature sounds in seconds, using your voice. Please help our friends at The NAMM Show celebrate excellence in pro audio and sound production by voting for the TEC Awards! Founded in 1985 and presented by the NAMM Foundation, the TEC Awards honors technical excellence and creativity across 23 awards for Technical and 8 awards for Creative Achievement -- including the game audio ‘Interactive Entertainment for Sound’ Production‘ category. Learn more about the nominees and cast your vote here. As a thank you we have worked out a special registration rate to attend The 2017 NAMM Show, $25 through January 4, 2017. This is only available to members of G.A.N.G. ASCAP is offering members of G.A.N.G. passes to the ASCAP EXPO for $410, a saving of $65 of the non-member price (discount code here). Prices go up April 2nd so register today! The ASCAP "I Create Music" EXPO puts you face-to-face with some of the world's most successful songwriters, composers, artists, producers and music business leaders, who willingly share their expertise and give you the know-how to take your music to the next level. Launched in 2006, the ASCAP "I Create Music" EXPO is the first and only national conference dedicated to songwriting and composing. Selling out in its inaugural year, the EXPO immediately provided a unique opportunity for songwriters, composers, artists, producers, publishers - and those in the industry that support them - to come together in an unprecedented way to share their knowledge and expertise. In its short history, the innovative programming offered to attendees has grown to include celebrity Q&A's, master classes, songwriting and composing workshops, publisher and business panels, One-on-One sessions, DIY career building workshops, showcases and performances, song feedback panels, state-of-the-art technology demos as well as leading music industry exhibitors. CRI is offering a very special, one-time only, 15% discount from October 31 through to March 31st 2017 on CRIWARE licenses to current members of G.A.N.G. in good standing. This is 15% off of your total license package including your first platform and additional platforms -- an incredible deal! Composers will be happy to hear that this special offer includes the Nuendo 7 Expansion Kit (NEK). By providing world-class instruments, sound design tools and capabilities carefully tailored to composers’ demands, the NEK transforms Nuendo into the most complete audio and music production platform. Here’s an opportunity for members of G.A.N.G. to save 25% when purchasing the Nuendo 7 and NEK 7 bundle. The promotion runs until January 31, 2017, and applies to members of G.A.N.G. only. NAMM is offering members of G.A.N.G. free passes to the Summer NAMM. You can learn more about the benefits of attending 2018 Summer NAMM and register here using the code available on the members perks page. Registration is now live for Develop:Brighton, with delegates able to save as much as £325 on a three-day Super Early Bird pass bought on or before 25 April at www.developconference.com. Members of G.A.N.G. get an extra 10% off the early bird rate.